Expires in 2mo . Last validated 1wk ago . Used 5 times. Jusvelyn Rengel Acuña I'm validating that this deal works perfectly. 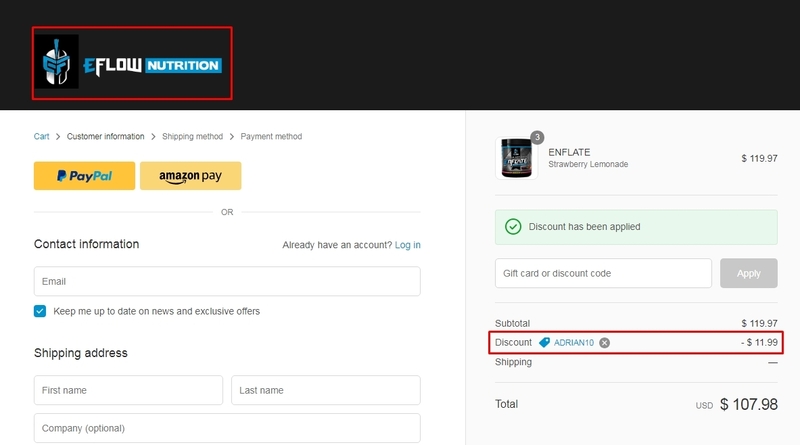 Just type the code in the promotion box and click on apply to save the promotion. Some exclusions may apply. Teodomiro This deal works as described. 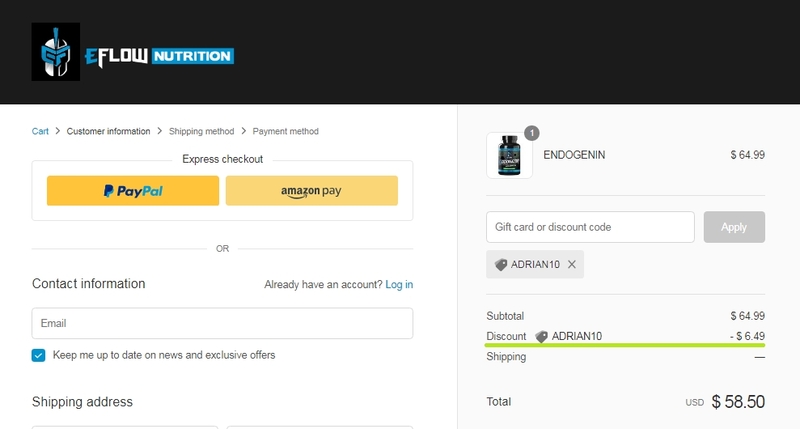 Go to the web site, add your item to cart, proceed to checkout, enter promo code <ADRIAN10> and get 10% off your order at Eflow Nutrition. German This deal works as described. 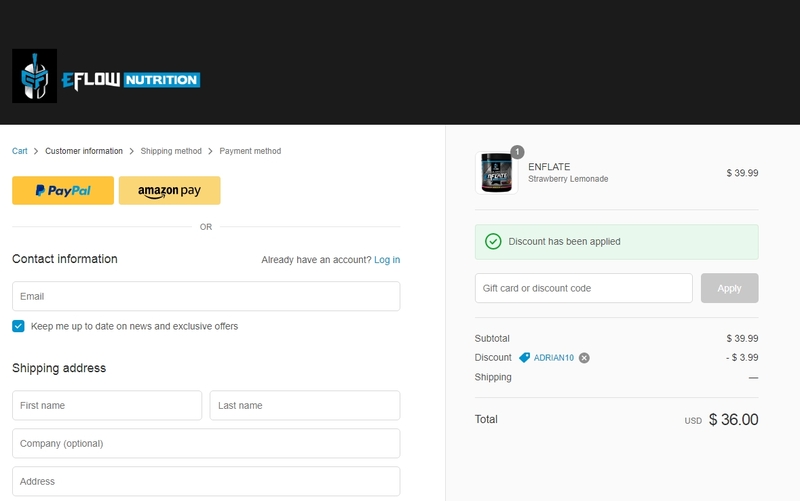 Go to the web site, add your item to cart, proceed to checkout, enter promo code <ADRIAN10> and get 10% off your order at Eflow Nutrition. 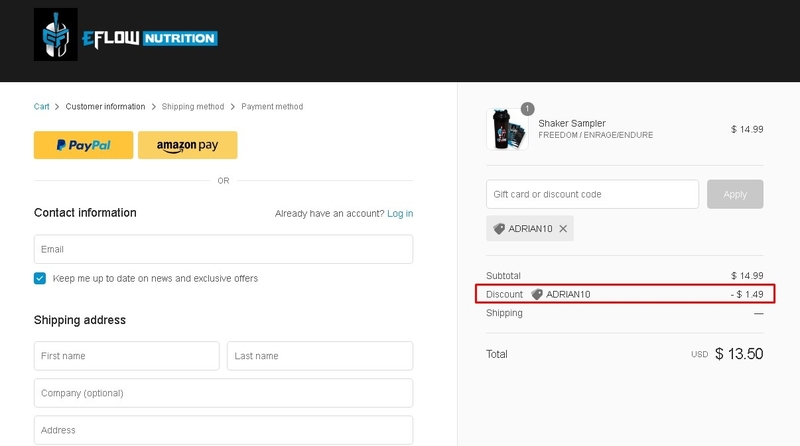 keyber alexander vargas figueroa I am validating that this promo code works as described. 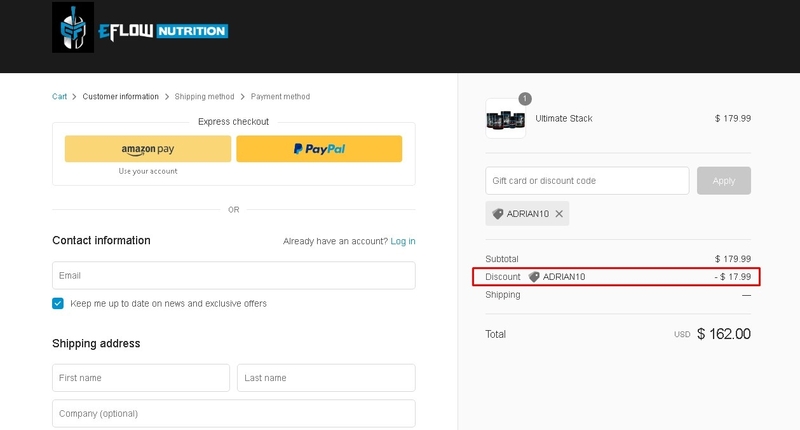 enter the promo code during the checkout process to get this discount. Luis Tested this deal and verified that it is working as described. 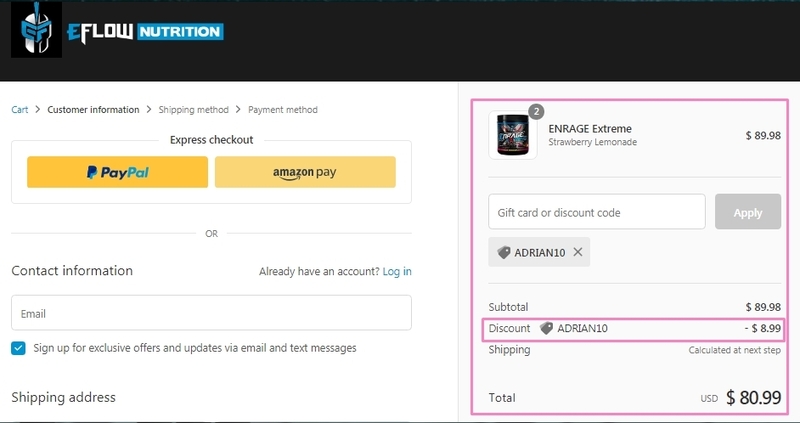 Make sure to enter the promo code during checkout. Terms and condition may apply.